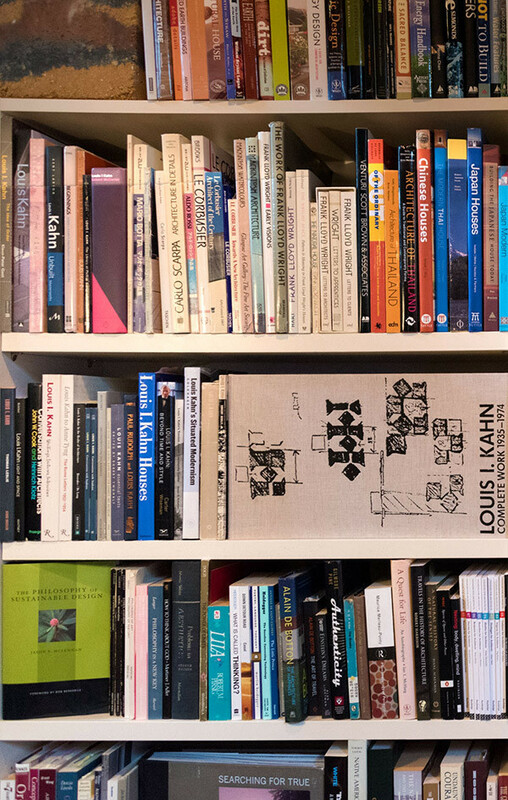 Designers fortunate to have traveled and read extensively draw from a profoundly enriched foundation in their work, and intellectually curious architects tend to cultivate extensive libraries over time. Certain favored selections in our collection, initially posted here by client request, seem to repeatedly weave their way into our conversations and internal reflections, especially during early stages of projects when focus is not yet designing, but researching. The frequency and value of our return to these voices is the main criteria by which they are included here; the list is idiosyncratic and personal, and in many cases one book spans several categories. Diverse authors discussing social and cultural aspects of the design of the built environment. One trait common to great architects I have known is a broad and deep understanding of history in general and architectural history in particular. Online resources of potential interest. Fictional choices that, resonate with architectural thinking. Showcases and case studies of the works of particularly noteworthy individuals and firms. An eclectic collection reflecting the many ways the work of philosophers is relevant to architects, and vica versa. Resources for project management, research, and programming. Basic overviews of various specific architectural subjects. Particularly noteworthy writing concerned with issues of global, regional, and local environmental thoughtfulness. Of the many excellent works available, these are the most well worn and currently active selections in our library.